Seems like I have been gone forever. 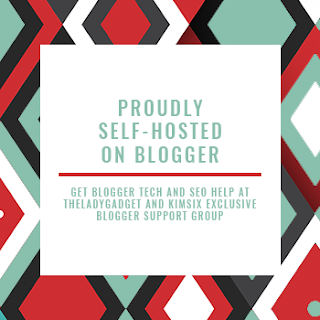 Last week I was busy cooking and baking for competitions at the fair and then the weekend came and I wanted to update my blog and tell you all about my winnings and my Internet was out. Problem solved now, I had to go to town and buy a new router this evening and we are back in business. I did very good at fair this year. I entered 6 different dishes and I placed on 5 of them. I won 1st place on Peach BBQ Pork Tenderloin, 2nd place on Root Beer Float Cheesecake, 3rd place on Butterscotch cookies, 4th place on Raspberry Cheesecake and 5th place on Scalloped Potatoes. I made my Real Buffalo Chicken dip but it did not place. 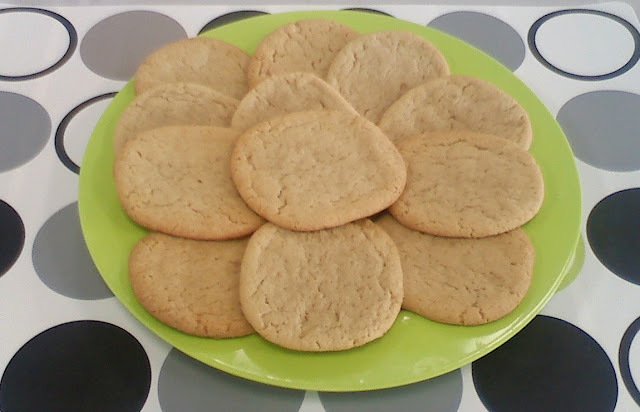 Today I am going to tell you about our Butterscotch Cookie contest. In this contest we were all given the same recipe to make. We were told to follow the recipe and bring 12 of our best cookies for judging. 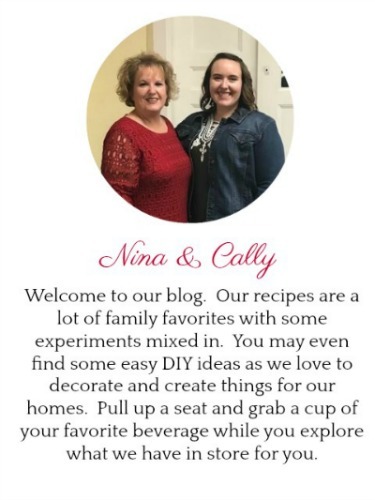 Cally talked Nikki and Laura into doing this contest with her. So the night before the contest the girls all made their cookies here at my house. The recipe says to mix the cookies up, form into a log, wrap in plastic wrap and place in the refrigerator over night. The next morning the girls all took turns baking their cookies. Then I baked mine after I got off work. These are a few things I know we did different. Me, Nikki and Laura used salted Butter and Cally used unsalted butter. I used vanilla extract while the girls all used vanilla paste. I took my cookies right off the cookie sheets and put them on cooking racks while I think the girls let theirs cool some on the cookie sheets before transferring them to the cooling racks. Even though they were all mixed up and baked from the same kitchen they all looked and tasted different. Mine were the most pale, Cally's were a little more golden than mine and then Nikki and Laura's were a nice golden brown. Theirs were a little more crunchy while mine and Cally's were more chewy. 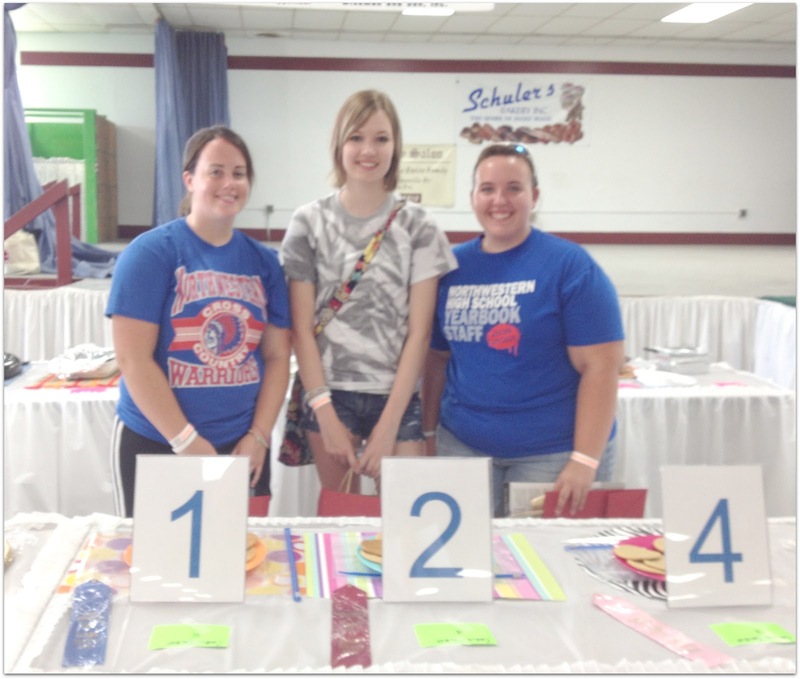 When we go to the fair we are assigned a number and we put our cookies up on the judging table with our number. Then we take a seat in the audience and we can watch the judges taste our cookies (or dishes for the other contests) and make their decisions. It is fun to watch them as they judge and interact with each other. For the cookies there were 3 judges. They would look the cookies over, see how done they were on the bottom and then taste them. They were back and forth with our 4 entries. Before I noticed them make their final decision I saw them turn over all Nikki and Laura's cookies and examine the bottoms. Usually this means they are so close they are looking for one to have a better appearance to place one above the other. It ended up that Nikki took 1st place, Laura took 2nd place, I took 3rd place and Cally took 4th place. They placed 1st thru 5th and we received kitchen gifts for winning. 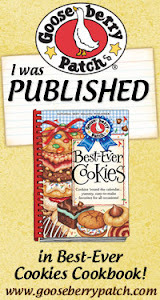 Cally had a lot of fun having her friends compete in the cookie contest with her. 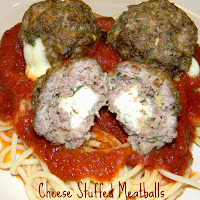 I will post more of my winning recipes as the week goes on. Beat butter, sugars, egg and vanilla. Add flour, baking soda, baking powder and salt. Form into a roll, refrigerate until next day or until ready to use. Cut into slices about 1/4" thick. Bake at 350 degrees for 8 minutes. I can not believe how cool it is out. We have been extremely hot lately and then today it is so cool I am wearing a sweat shirt and sitting by the fire. So that is a good excuse to make these Reese's Peanut Butter Cup Smores. I will eat regular smores but am not a big fan but these smores with chocolate and peanut butter are amazing! We are having a good night just relaxing by the fire and roasting marshmallows and making smores. Our yard has corn field on 2 sides. Bill snuck into the corn field and was trying to scare us. I had no idea he was even in the field because I am hard of hearing but the kids and dogs heard him moving around and were concerned. I just kept saying I was smelling a skunk and was afraid it was a skunk. Our oldest dog has been sprayed by a skunk before and I do not want to deal with that again. Roast marshmallows until soft. 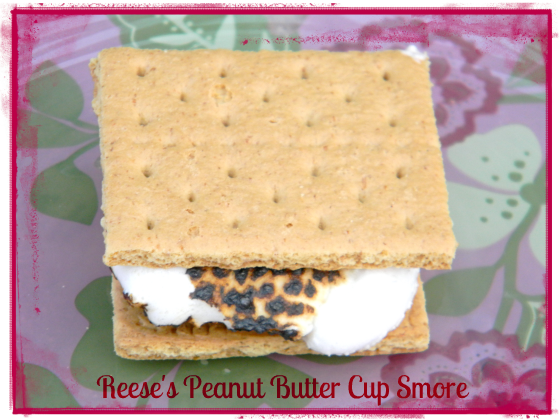 Take 2 graham crackers and place the marshmallow and a Reese Cup between the crackers squish together and enjoy! 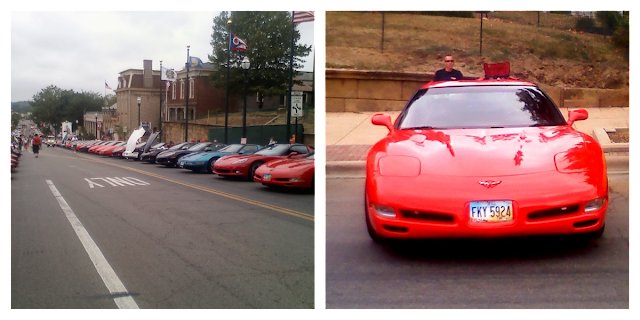 Today Bill and I took our Corvette to an all Corvette show in Lancaster OH called the Gathering. I would guess that there were 300 corvettes lining downtown streets in Lancaster. Bill and I traveled to Lancaster with some couples that we met at a previous car show. We are excited to join their car club and be able to go on more outings with this group. It was a blast to meet people from all over and see all different years and colors of Corvettes. When I was grocery shopping on Saturday I found a bag of Caramel Bits. I thought these sounded yummy. They are balls of caramel that are ready to use right out of the bag without having to unwrap the caramel pieces. So that put me to thinking about what kind of cookie I could make with these caramel bits to take to the car show with me. 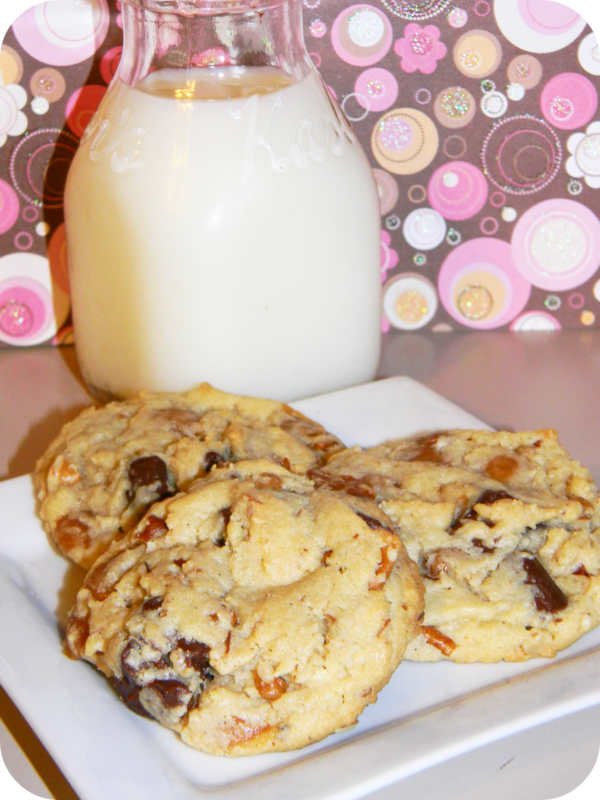 I came up with Caramel Nut Chocolate Chunk Cookies. I think they taste like a Turtle. Maybe I should have called them Turtle Cookies. I am not entering the best cookie in the county this year but if I was this would be the cookie that I would enter. The dough was so thick on these cookies that once I put the caramel, chocolate chunks and the nuts in the bowl and went to mix it all together that I broke my paddle attachment for my mixer..... I was bummed as this is my scraping paddle attachment so I guess I will have to drop some hints for a new one. 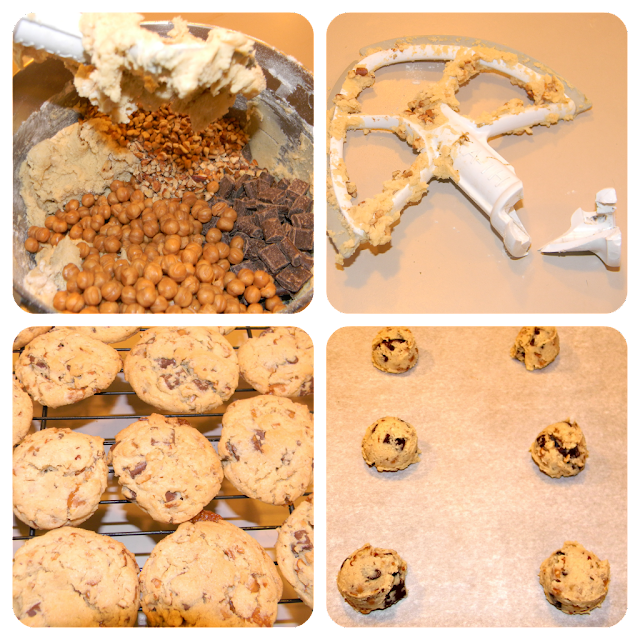 The dough was so good to eat and I had a hard time keeping my hands out of the bowl while I was trying to put the cookies balls on the sheet. They are soft with a little crunch from the nuts and the caramel makes them chewy. Preheat oven to 350 degrees. Cream together the butter and sugars. Beat in the instant pudding mix, until blended. 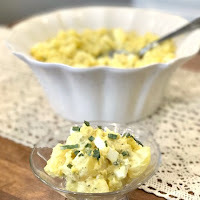 Add the eggs and vanilla and beat until combined. Blend in the flour, baking powder and baking soda. Stir in the chocolate chunks, caramel bits and the pecans. Drop by rounded spoonfuls onto cookie sheets covered with parchment paper. Bake for 10-12 minutes. 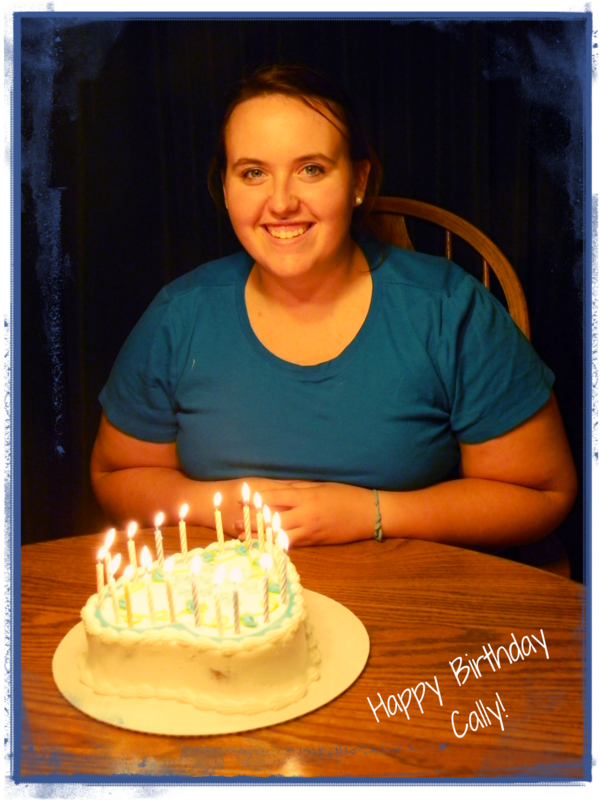 Cally turned 19 this week, here is a picture of Cally and her birthday cake. I have been on vacation this week. Cally and I have been shopping for her college dorm stuff. On Monday we decided we would go shopping in Tipp City. 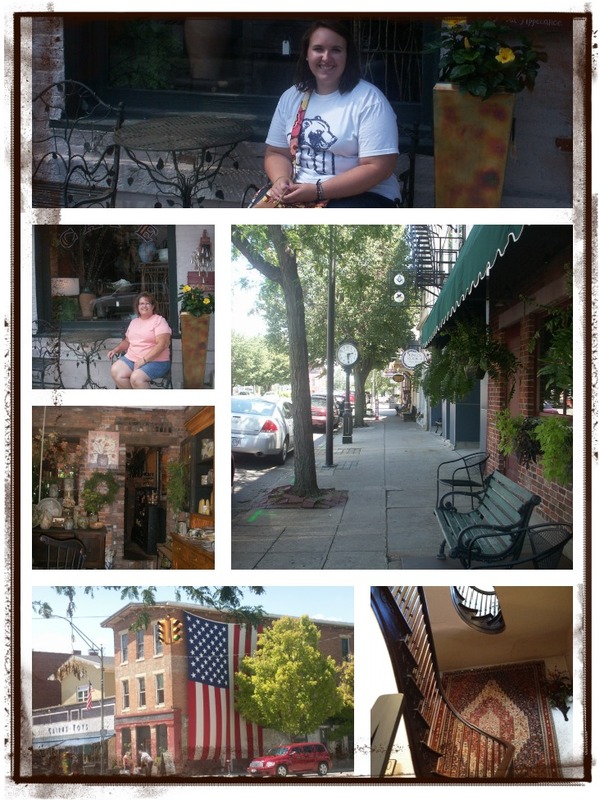 It is a small old fashion town with a lot of antique shopping, shabby chick stores and mom and pop diners. We had a great time walking Main St and exploring. We ate at Sam and Ethel's. It was built in 1869 as a single family home and first became a restaurant in 1944. It had several owners before Sam and Ethel Moore purchased it in 1957 and that is how it got the name Sam and Ethel's. It has since left the Moore family and has had the current owner since 2009. 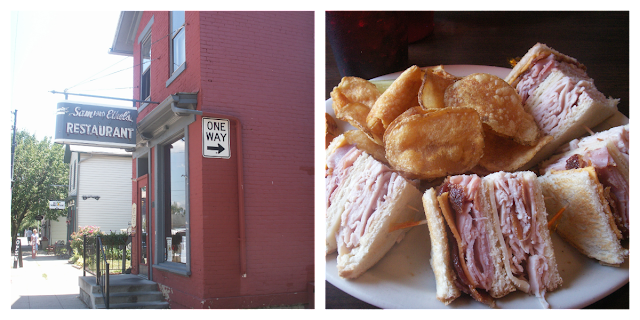 Cally and I had Roundhouse Club Sandwich with homemade potato chips that are fried fresh daily. These are the best chips I have ever had in my life. They were thick and crispy with a little salt. I will go back again even just for the chips! Our sandwich was also very good. It was a nice homey diner that reminded me of something you would see in Mayberry. Here are some pictures we took as we walked around Tipp City. All the buildings are very old and at one time I believe a lot of them were family homes. This is a very old city with many old fashion memories. This was suppose to be Cookie Dough Cheese Cake Bars. The original recipe called for them to have chocolate chip cookie dough but my favorite is snickerdoodle cookie dough so I used the recipe for the cheesecake bars and then made up my own snickerdoodle cookie topping. However my cheesecake does not look like the ones that Becky Bakes made. Hers are compact and firm while my cheesecake is fluffy. 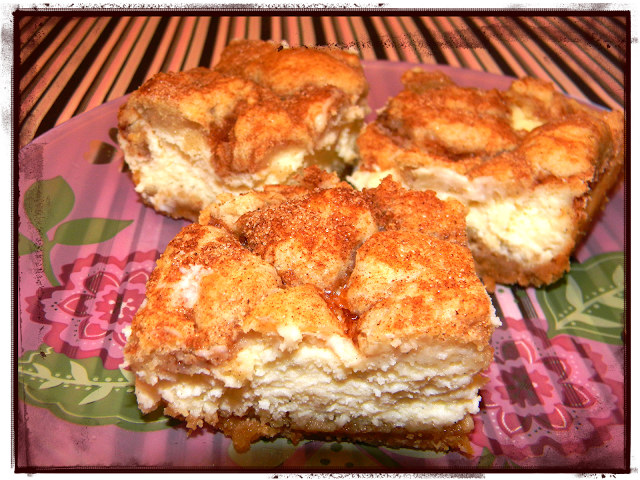 I really like the fluffy texture of the cheesecake and the cinnamon vanilla flavoring is divine. Mine you would probably put on a plate and eat with a fork rather than as a cookie bar. Either way they are heavenly. In the cookie dough recipe I omitted eggs because I was not sure how the cookie dough would bake up and did not want some raw cookie dough on top of the bars if it did not bake up the way I thought it would. It did bake up crispy just like a cookie so mine is really not like the recipe says as "Cookie Dough". I really like the crispy crust on the bottom and the creamy fluffy cream cheesecake filling sandwiched in with the crispy cinnamon vanilla topping. The only thing I might add is to drizzle the top of the cheesecake with some melted caramel. I refrigerated mine overnight and I do like it really cold right out of the fridge. Crust: Line a 9 x 13 pan with parchment paper or foil. Mix together graham cracker crumbs, sugar and melted butter. Press cracker mixture into pan and bake at 350 degrees for 10 min. Filling: With a mixer, beat together cream cheese and sugar at medium speed until smooth. 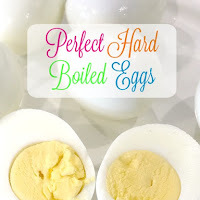 Reduce speed to low and add eggs 1 at a time, beating until incorporated. Beat in sour cream and vanilla until combined. Pour over crust and bake at 325 degrees for 30-35 minutes. Edges should be set but the middle will still be jiggly. Cookie topping: mix together the butter and sugar until fluffy. Beat in the applesauce and vanilla until combined. Add the flour and soda. 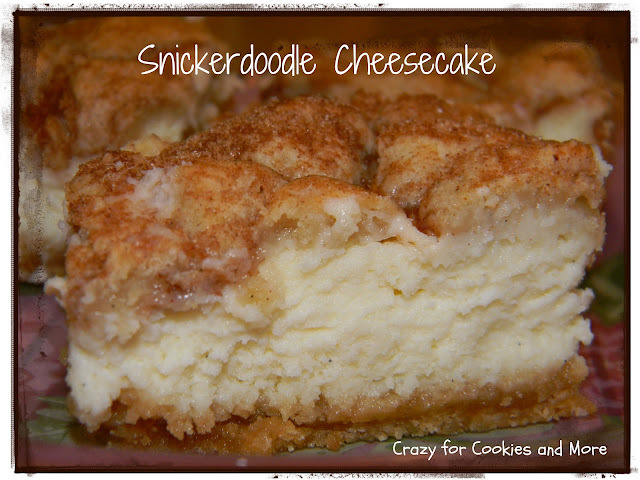 Dot evenly with cookie dough, mix together the sugar and cinnamon and sprinkle over the whole top of the cookie cheesecake. Return to the oven for an additional 10-15 minutes, until cookies are the desired texture ( I baked mine for 15 minutes because I like them crunchy on top but if you like chewier cookies I would bake them for 10 minutes). Cool completely. Cover and refrigerate several hours or overnight. May drizzle with melted caramel if desired. This has been one crazy week. 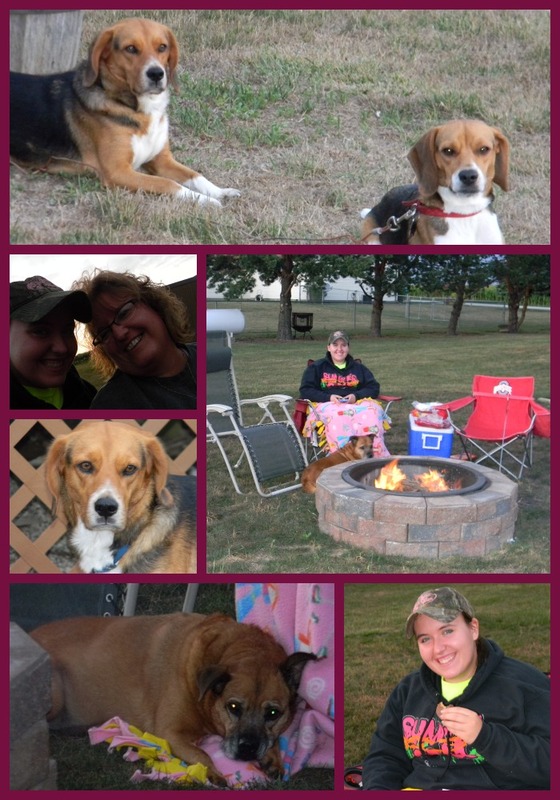 On Friday June 29 and Sunday July 1 we had 2 of the worst storms I can ever remember. It has been so hot here one day this week our house thermometer said it was 109 degrees, and these storms popped up and the wind was blowing at what seemed like 100 mph. We were without electric with both storms but the worst on Sunday we had electric back on within 8 hours. But I had already emptied the fridge out and had thrown away a lot of stuff that I did not have room for in my 2 coolers. Guess it was a good way to clean out the fridge. We ended up with roof damage on the house and barn. My ceiling in the kitchen is wet. The fascia was torn off the barn and my Holland grill took a flying leap off of the deck. The insurance adjuster was out yesterday and the claim is underway. Tomorrow the weather man is saying the heat is suppose to break, I just hope that does not mean more storms when the humidity breaks. My best friend in the whole world, Cindy, text me this morning to tell me she was baking banana bread, oh that sounded really yummy at breakfast time! 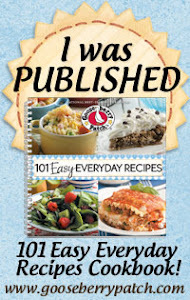 That put me to pondering what I was going to bake today to put on the blog. Well it has taken me all day to decide. But I finally remembered these Lemon Cheese Bars from the blog Sweet Treats and More. Lemon is one of my favorite flavors so when I saw these a few weeks ago I knew I would eventually make them. They were really easy to make. 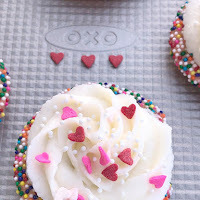 I love recipes that start out using a cake mix, when you see that in a recipe you know it is going to be an easy and fast recipe. I have tried them both at room temperature and out of the fridge cold. I prefer them cold. They remind me some of lemon bars but with the crust being lemon and then the creamy lemon filling and the dry lemon topping covered with powdered sugar they are way better than lemon bars! Beat the cream cheese, sugar, lemon juice and egg until creamy and spread over the baked crust. Sprinkle the reserved crumbs on top and bake another 15 minutes. Sprinkle with powdered sugar. 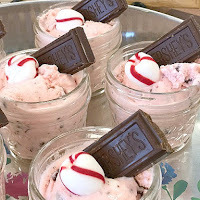 Let cool then cut into bars and serve.